The weather is getting cooler and some days, down-right cold. Time to break out the hot tea and hot chocolate! I love ending my day with a cozy cup of something warm. 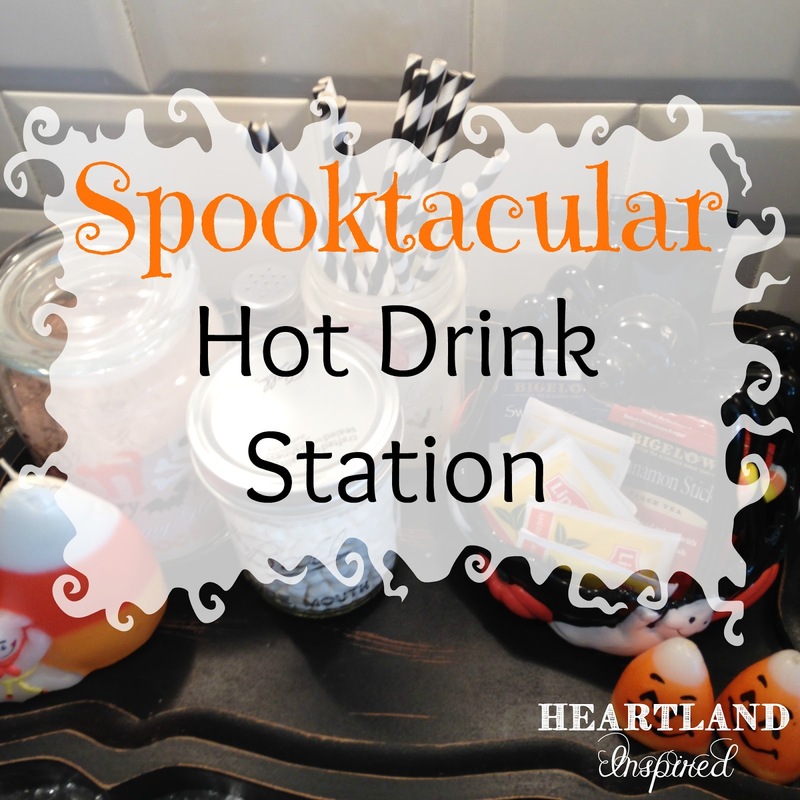 Having a spot in my kitchen for all my hot drink goodies makes creating delicious drink really easy. 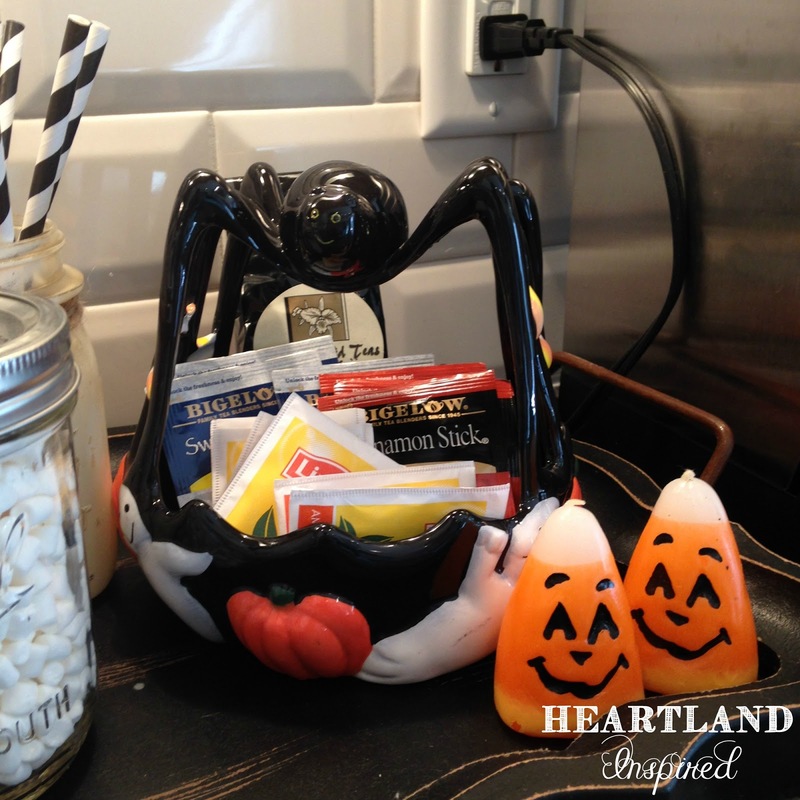 I have admired lots of hot drink stations on Pinterest for a while. I kinda put one together. It was functional, but I really didn't think it was anything special. 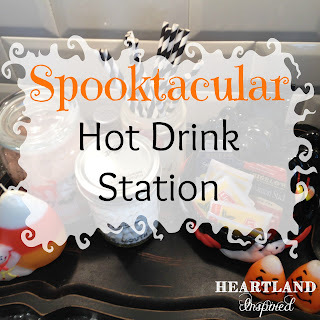 As I was pulling out my Halloween decorations, the creative juices started flowing with some fun ideas for a Halloween-inspired hot drink station. Finally, my candy corn candles have a place to shine! I am more of a cutesy Halloween person than a scary Halloween person. 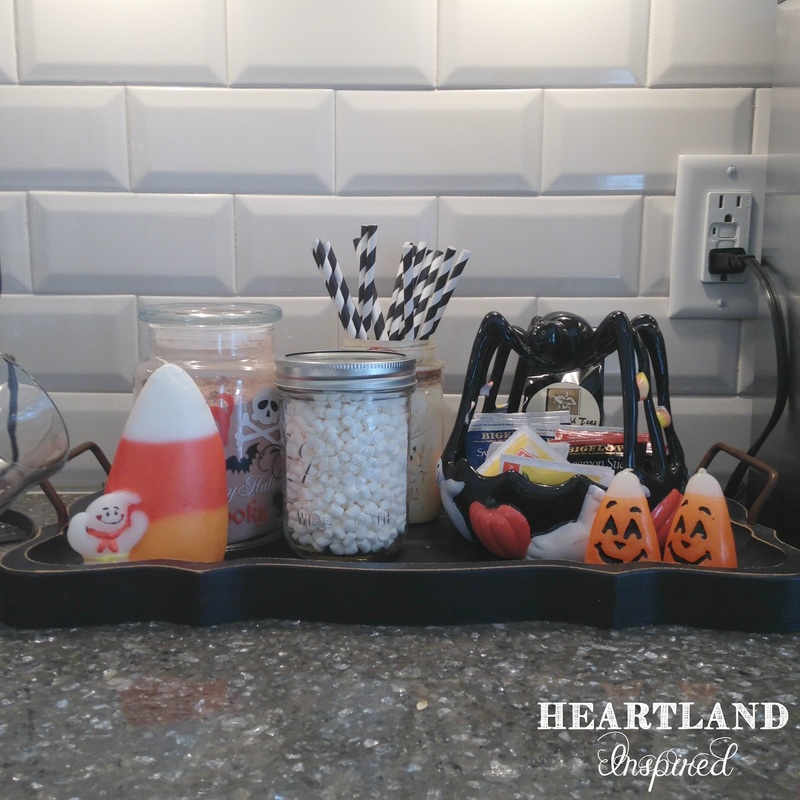 So I love my happy little ghost next the big candy corn. 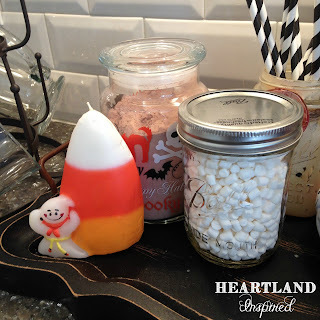 My homemade hot chocolate mix looks very spooky in my little glass Halloween jar. By the way, this homemade hot chocolate mix is delish! Get there recipe here. My little fun spider bowl was a great spot to put my stash of tea. Once it starts getting cold, I start drinking a lot more tea. It is so comforting! Having a variety of teas handy makes everything so easy. And if any guests would like some tea, they can see my selection. I am so happy with how my little station turned out. It isn't super exciting, but it is a fun little festive addition to my kitchen!